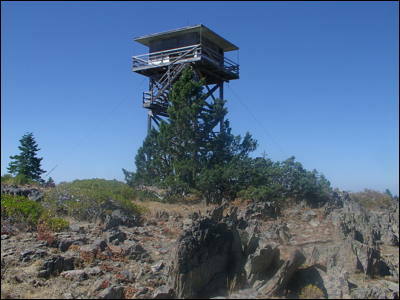 Here are photos of the historic fire lookout on Table Mountain in the southern Oregon Cascades. Images also include views from the summit of Table Mountain ... Mount McLoughlin, Mount Shasta, mountain lakes, and Buck Prairie. They were taken in 2005. The lookout is the setting for the story, Trek to Table Mountain.